Married 30 June 1950, in Medford, Oregon. Leitha Trefren, 67, of Medford, died Wednesday (21 February 2001) at her home. Memorial contributions may be made to the Rogue Valley Genealogical Society, P.O. Box 1468, Phoenix, OR 97535. She was born 01 July 1933, in Medford, the daughter of Keith and Faith SCOTT. She graduated from Butte Falls High School. On 30 June 1950, in Medford, she married Eddie TREFREN, who survives. Mrs. Trefren worked for the U.S. Postal Service, retiring in 1992. She lived in the Rogue Valley all her life. She was a member of Eckankar. Mrs. Trefren enjoyed knitting, traveling and camping. Survivors, in addition to her husband, include a son, Wayne, Jacksonville; and a daughter, Karen Trefren, Bellevue, Nebraska. She was preceded in death by three brothers. 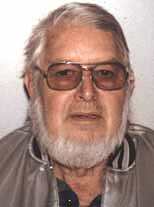 Eddie H. Trefren, 73, of Medford, died Sunday (April 7, 2002) at Logtown Cemetery in Jacksonville. No service is planned. He was born December 13, 1928, in Butte Falls. He graduated from Butte Falls High School and was a lifelong Rogue Valley resident. In 1950, he married Leitha Faith Scott, who died in 2001. Mr. Trefren worked for Boise Cascade. He was involved in tai chi. Mr. Trefren enjoyed hunting, fishing, camping and gardening. Survivors include a son, Wayne, Jacksonville; a daughter, Karen Trefren, Omaha, Neb. ; two brothers, Dean Smith, Butte Falls, and Dale Smith, Jacksonville; and a sister, Nola Rambo, Butte Falls.